The simpler the design is-the easier the use is. The simple design of this mask was reduced to a lightweight, minimal interface which is easy to fit, and a sleek. 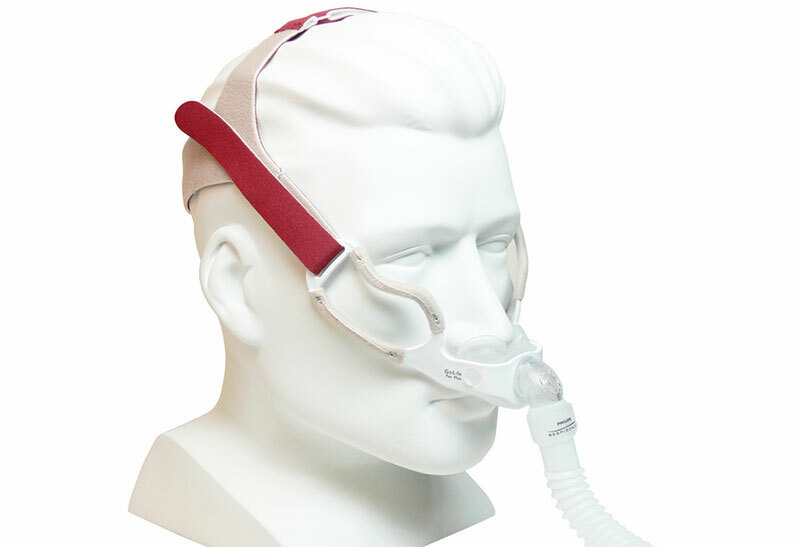 The Swift™ FX Nasal Pillow CPAP Mask with Headgear consists of: frame, pillow, headgear and cushion. Maybe the best advantage of this mask is that it is Ultra-Quiet. This is due to the ports for exhalation which are not located on the cushion, but they are set on the frame. This has minimized the sound effects to 25 decibels. The air disperses gently away from the user. 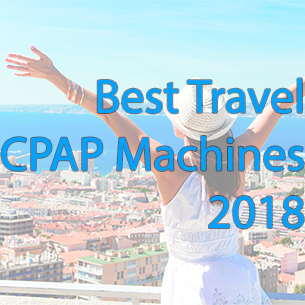 That’s the most appreciated feature, when it comes to this type of mask, and that’s why it is on the list of Best Nasal Pillow CPAP Masks. The Improved Pillows have a dual-wall flap design, which accommodates movements, and offers great comfort. The headgear is made of silicon, which cradles the user’s face. The comfort is increased because of the soft fleece material. The fitting is easy-it requires two steps: profile backstrap and buckle on top. What can be singled out as a weakness of this type of mask is there is a stream of cold air out of the mask, and it needs an air diffuser too. 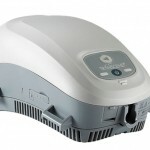 It can be extremely quiet- which is due to the technology that quietly directs the exhaled air in various directions away from the user and away from the bed partner. There is a short tube attached to the frame, and they are inseparable. This mask has a very remarkable lightweight, because it is made of lightweight elements: nasal pillow, vent frame and headgear. 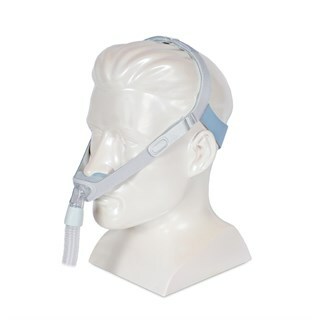 The flexible nasal pillow is maybe the main feature of this mask, that puts the mask on the list of Best Nasal Pillow CPAP Masks. The flexible nasal pillow is made of material that can compress easily up and down in order to allow a very comfortable seal while sleep. The pillow is available in three different sizes: Small, Medium and Large. Maybe the size of the exhale ports need which is not enough, and does not allow enough air to escape, is one weakness of this mask. 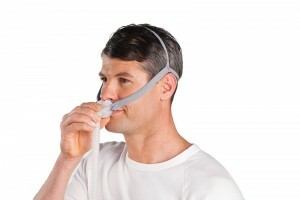 The GoLife For Men Nasal Pillow CPAP Mask with Headgear Version 2 features with an improved nasal pillow angle, headgear, and a port for air diffusion. The angle of the nasal pillows is adjusted tin order to keep a stronger seal and to give comfort. The is reduced even more because there is a quieter exhalation port added. The pillow adjusts to the needed angle which gives the best position after different movements. It also retains a strong seal. Maybe the most typical feature for this kind of mask is that it has a 60 Degree Swivel. 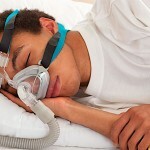 That’s what makes it different from the other masks, and makes this mask one of the Best Nasal Pillow CPAP Mask. It has a 15.5 inch tube which includes swivel. The swivel is a 360 degree swivel which has an ability to allow different movements. Useful fitting tip: put the side headgear straps like they sit above the ears, just like a pair of sunglasses. The top headgear straps are here just as optional, and the users don’t need to adjust them if they wear the mask correctly. Maybe as disadvantage of this mask is the that this mask Is loud, and do not lowers the sounds. Its own name tells what does it mean- the Opus 360 Nasal Pillow Mask offers to the users 360 degrees of freedom in, during the movements and positions the user makes while sleeping. The lightweight design and its small dimensions, give a very common feeling while wearing the mask. The nasal pillow is available in three sizes, in order to give the best comfort and the very best fitting. Why users most appreciate in this mask is because it is really quiet. Other advantages of this mask are: the mask has a lightweight design, just as a feather of one normal human hand. The lightweight design brings the users a feeling like they are not wearing nothing on their faces. It weights just 2 ounces. Also, the air diffuser system is very quiet, and it reduces the amount of noise, which saves the users and their bed partners from exhausting noises. Here are the anatomically shaped pillows that provide an easy and comfortable fitting, and a premium seal too. The cleaning is as easy as the fitting- users just have to do this: take apart the headgear, clean it, and put it back again with no any new adjustment. 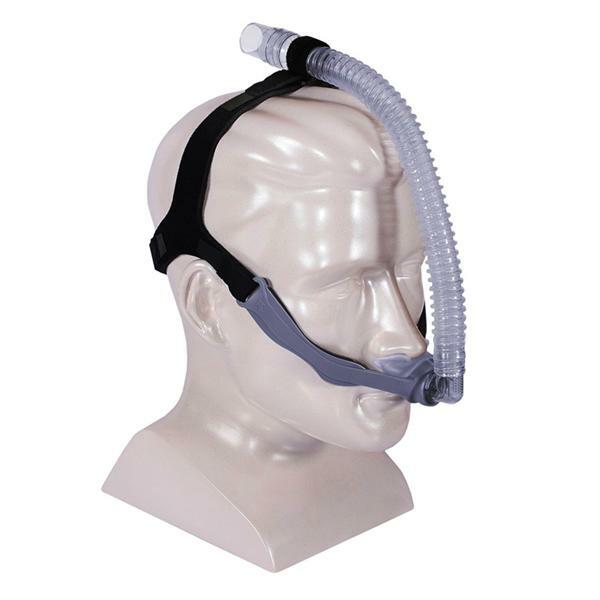 There are no disadvantages of this mask, but this one may be considered as- the nasal pillow does not stay attached to the base. Why this mask takes place among the Best Nasal Pillow CPAP Masks, is because of the comfort it offers, and the soft design that allows users to feel free and not hurt while wearing it. The main component which is responsible for the great softness is the contour of gel in the nasal pillow. Here are also two versions available in the three sizes. The versions are: Nuance Pro and Nuance. Nuance Pro is used to experience the comfort the gel offers, and Nuance is used because of I soft mask frame. 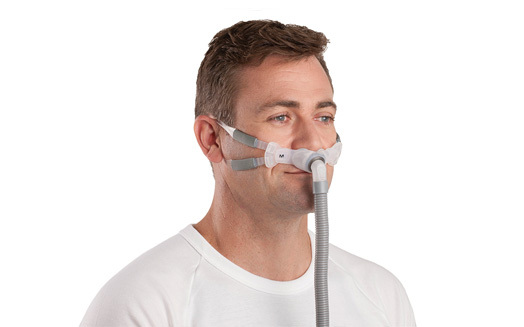 There is no any special disadvantage related to the Nuance & Nuance Pro Nasal Pillow CPAP Mask with Gel Nasal Pillows, but the some users have said that the mask knows to displace during the sleep, if they have not tightened it well before going to bed.